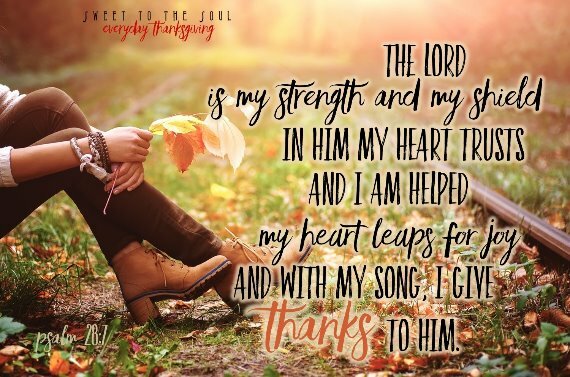 ​The Lord is my strength and my shield; in him my heart trusts, and I am helped; my heart exults, and with my song I give thanks to him. ​Keep in mind that there is not a soul on this earth who won’t experience failure, disappointment, and discouragement. ** Our beloved King David had to get up from shame of walking off the battlefield and committing adultery. ** Apostle Peter had to get from the guilt of denying Jesus three times after bragging he loved the Lord more than everyone else. Do not misunderstand, there is a price to pay when we fall and sin against God. However, the same God that disciplines us because He loves us also sent us a Savior to give us the power to get up and finish our faith fight. So don’t let anyone ever tell you that God cannot redeem what you have done. You were born again to win victory in every area of your life! So ask the Lord to help you get up, and let Him handle whoever and whatever is keeping you down—and you’ll win! 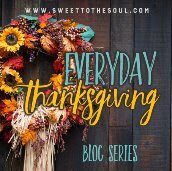 Today's blog post is part of the November blog series #EverydayThanksgiving. And is a collected quote from the author.